Den of Geek look at what Star Wars: The Last Jedi meant for Snoke, and the unanswered questions left behind (beware of spoilers)…. Snoke’s face was kept under wraps in The Force Awakens’ marketing – partly, it seems, because even director JJ Abrams couldn’t quite decide what the villain should look like. 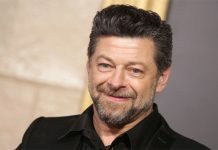 As Serkis said in interviews at the time, he was forced into the unusual position of playing a character without even seeing a picture of the role he was asked to inhabit. It was only later in post-production that Snoke’s ghoulish appearance was finally nailed down. 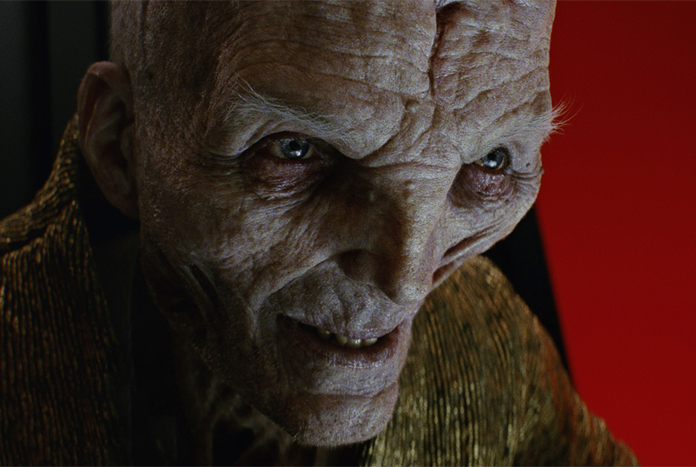 In the finished movie, Snoke cut such a phantom-like figure that he almost looked like something from a separate franchise. Shown exclusively as an unfeasibly tall hologram, his bald head, lined face and dreadful scars hinted at a long and violent history; indeed, everything about him seemed engineered to provoke debate. Was he really that big, or was he just projected that way? Where did he come from? What kind of name was Snoke anyway? You hardly need us to repeat the assorted fan theories: Snoke’s Palpatine; no, Snoke’s Jar-Jar Binks, who was an evil fiend all along. No, you’re all wrong, it’s Mace Windu. And so on. It also goes without saying that The Last Jedi put most of those theories to bed with the storytelling equivalent of a lump hammer. No, Snoke wasn’t really that tall, although he did still appear to be loftier than your average human. No, he wasn’t Palpatine, Jar-Jar, or Mace Windu. He was just a scheming, cackling, wizard-like humanoid who’d managed to take control of a galactic military junta, yet preferred to spend much of his time alone, in his throne room, wearing an expensive dressing gown. As written by Rian Johnson, The Last Jedi also saw Kylo Ren dramatically overthrow Snoke’s tyranny; the old geezer may have had extraordinary powers, but his arrogance turned out to be his undoing. One swish of a Lightsaber later, and Snoke was left as a heap of cauterised body parts. Reactions from fans were, perhaps understandably, mixed. But whether you think the death of Snoke was an ingenious rug-pull or a jarring disappointment, you’ll likely agree that the character leaves behind a wealth of unanswered questions. How did he and Kylo Ren meet? Where did he come from? What were all those scars about? Now, it could be argued that, when Emperor Palpatine breathed his last in Return Of The Jedi, the hooded maniac left behind some mysteries of his own, at least in 1983 – before George Lucas’s prequels explained how he met Anakin Skywalker and why his face looks so darn strange. There is, at least in this writer’s opinion, a subtle difference between the presentation of Emperor Palpatine as a villain in the Original Trilogy and Snoke in the sequels. 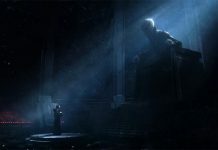 With Palpatine, there was always a sense of “what you see is what you get”; like all the characters in the careworn Star Wars universe, he had an air of history about him, but it never felt as though the saga revolved around him in any meaningful sense. 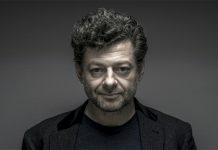 He was the master pulling Darth Vader’s strings, certainly, but there was never any doubt that the story of those original three movies belonged to Luke, Vader, Leia and Solo. Read the full interesting article here.